Guilin University of Electronic Technology (GUET) newly established the School of Artificial Intelligence (SAI) and the School of Digital Economics (SDE). The new schools are seeking full-time faculty, who have an interest in pursuing innovative, interdisciplinary education programs and in leading research efforts in all areas of Artificial Intelligence and Digital Economics. Applicants should possess Ph.D. degrees in the above academic fields with demonstrated records and potentials for research, teaching and leadership. This is a worldwide search, open to qualified candidates from all countries and of all nationalities, with internationally competitive compensation packages for all qualified candidates. As one of the four famous universities focusing on electronic technology in China, GUET is a key public university which is supported by the Ministry of Industry and Information Technology and Guangxi Zhuang Autonomous Region. Founded in 1960, the University now has 4 doctoral programs, 1 postdoctoral research center, 17 master programs and 70 bachelor programs. GUET owns over 2,900 faculty and staff, and 40,600 students at all levels. Boasting a long-standing history of more than 2,000 years, due to the uniqueness of wonders of mountains and rivers, Guilin enjoys a high prestige as "East or west, Guilin's landscape is best", ranking 2nd amongst China's top 10 scenic spots. Guilin Lijiang River makes the list in the world's 15 best rivers for travelers by CNN in 2013. Numerous tourists, including heads of states, celebrities at home and abroad, have attracted by Guilin's sceneries. Send a resume to [email protected] on the email's subject of "Apply for Artificial Intelligence and Digital Economics". Please do not hesitate to contact us if there is any assistance we could provide. 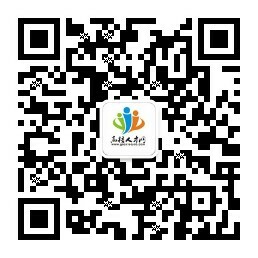 Department of Human Resources: Ms. Dong; Cell phone: + 86-13217735600.